Giving babies the best start in life is important because some things are established very early. By two years of age, a child's gut health is set for life. Gut health plays a crucial role in immunity, risk of disease, and wellbeing throughout life. Research has found that premature babies have a vastly different gut makeup to babies born full-term. Babies born prematurely generally don't have enough of the good bacteria ‘bugs’ in their mix. In the Newborn Intensive Care Unit (NICU) research studies are underway to determine what steps we can take to help improve the gut health of premature babies. Trials are now in place to see if providing premature babies with probiotics will help improve their gut picture from early days into infancy; and potentially into long term health outcomes. Reduced blood flow and oxygen in the gut of premature babies is also linked to diseases such as Necrotising Enterolcolitis (NEC). In July this year a new research trial, which is being supported thanks to the Madison Capaldi Research Fund, will explore if premature babies are at higher risk of developing altered blood flow patterns in their gut while receiving a blood transfusion. The trial seeks to establish whether withholding or lowering the amount of feeds a baby receives during the time of blood transfusion will help lower the risk of developing gut disease. 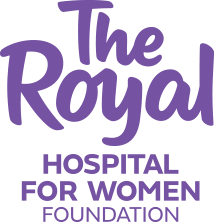 The Royal relies on donations like yours to continue with ground breaking research that will change the lives of women, babies and families for many generations to come.